Over the past two weeks Luke’s gospel has presented us with few examples of Christian living. Two Sundays ago we had a reading about a large number of disciples being sent by Jesus to open a way for him among the surrounding communities, and then last Sunday we read about expressing love for our neighbours in the parable of the Good Samaritan. In both these readings being a Christian is exemplified as bringing Jesus to others and working for the wellbeing of those in need. Or in other words, in both these readings being a Christian is exemplified as loving God above all things and our neighbours as ourselves. But if there are two complementary aspects, or “tasks”, about being a Christian, there are also two mutually exclusive ways of going about it. 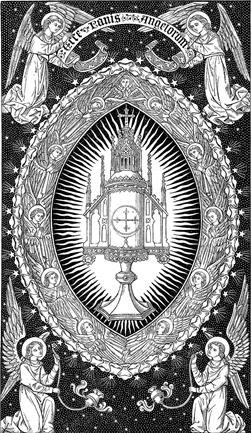 And we see these exemplified in the way two sisters, Mary and Martha, behave towards Jesus and the community of followers, the Church. At first, Martha seems busy and hardworking and perhaps the very essence of a life devoted to the service of both God and neighbour; whilst Mary seems lazy and a time-waster who shies away from practical work and from what Jesus requires. But things are not always what they seem. 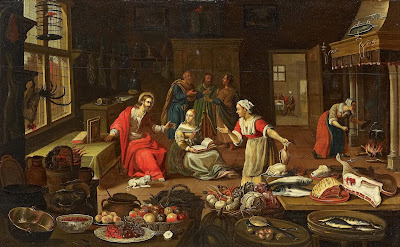 In reality Martha has let herself be absorbed by worries and by the many things she has to do – so much so that she has become resentful towards other followers of Jesus, even towards her own sister, who does not behave exactly like her; whilst Mary, from her part, has taken time away from mindless activity to sit quietly sits with the others disciples at Jesus’ feet, spending time with him, learning from him, and enjoying his precious presence. These two ways of being a Christian are quite common, in fact, there I say, Martha’s model is more wide spread than Mary’s as quite often if it easier to let busyness and worries consume us, rather than to spend our time in prayer and contemplation with Jesus. Yet, if we only had the courage to imitate Mary’s pattern of discipleship we would find it very liberating, fulfilling, and – perhaps surprisingly – even a lot more productive. 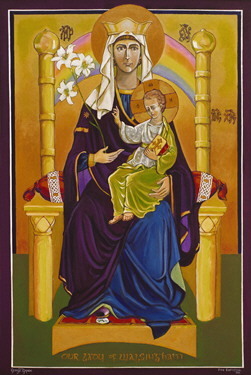 By following Mary’s example we would deepen our understanding of Jesus and of his Church, we would attend the needs of those around us first of all through prayer (and only later through action), and we would lead many to the Lord through our prayers for them and inspiring others with a deeply religious way of life. I encourage you to try out this week Mary’s example of Christian living; spend time with Jesus, pray at length for people, pray for the needs of those you can’t easily or readily help, and learn something new about the Lord and his Church.